It's time for a photography challenge - to exercise my creativity. Fellow blogger, Nicki at Bended Road Photography, posts a black and white photo on Wednesdays and I'm a member of a Black and White photography group on Facebook, which is hosted by Susan Licht. So black and white challenge on Wednesdays it is. I personally find it hard to visualize in black and white. One can't simply convert any photo to monotone and call it done. Some scenes don't work in black and white, while others are completely transformed. Therein lies the challenge. When I shot this, I knew the final image would be black and white. Very elegant nature shot in BW ! Love it! 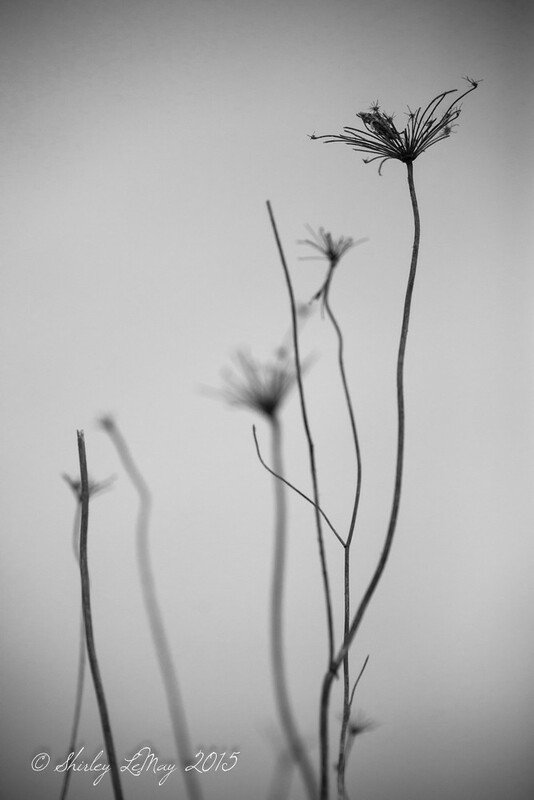 The seed heads are wonderful in B & W - simple and elegant. oh, so sorry I missed out on joining this week. This is an excellent subject for a b/w conversion and you are so right in how some images at inception already spoke in b/w. Indeed, not every shot converts but you chose wisely. Lovely shot. These are some of my favorites to shoot - and I agree - they seem made for black and white. Interestingly, in any season I find they work in black and white!! Thanks for linking up!